It was a little request, really, as far as requests go. "I need three parents to chaperone my sixth grade class on a field trip to Chinatown." The reason I immediately raised my hand? The field trip includes dim sum. My friends know how much I love dim sum. 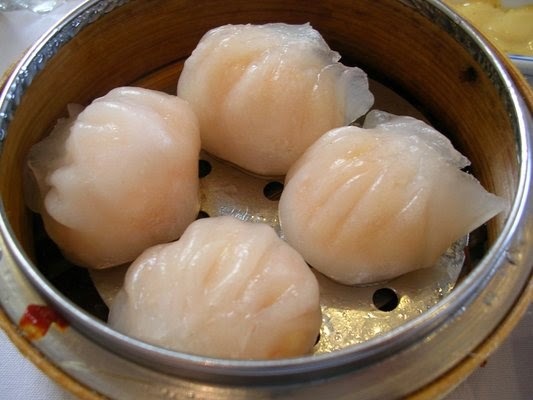 Even people who hate me -- or at least those who hate me and know me -- know that I love me my dim sum. So, yeah, sure, why not, I got nothin' better to do on a Monday than ride a bus with 60+ changelings. So signed up, I did. And then? After thanking me for volunteering, the teacher continued with "I have just discovered that because the PTA is covering all of the student's [SIC] [AND SHE'S AN ENGLISH TEACHER] payment for this trip, we do not have enough to cover chaperones as well. The trip (including the bus to and from SF, lunch and the tour) is $20. I would appreciate if you could send that with CHILDREN if possible before the end of the week. If you are not able to pay, let me know so we can figure something out so you can still come." Really? I have to pay for the privilege of enabling the kids to go on a field trip? Am I a PTA member? Yup. Do I donate beyond the basic PTA membership? Yup. Do I give my time to the school as a whole and even, doh-head that I am, do the student directory each fall? Yup. But let me also give you $20 for the privilege of helping not just my kid but 29 other kids in his class and 30 other kids in another class. I'm just going to consider this one of those pay-to-play auction items drunken moms and dads commit to at the big school fundraiser each year. And, yeah, I'm going to claim it as a tax deduction. And eat more than $40 worth of dim sum. Whoa. That would seem brazen if the schools weren't so desperate. Sigh.